Sydney, 7 February 2013 – Academy Award®-winning production company See-Saw Films (The King’s Speech) and Sunstar Entertainment announced today that they have secured the rights to the autobiography by Saroo Brierley, whose incredible life story made headlines and touched hearts around the world last year. Born in India, Saroo lost his way in an overcrowded city, almost 1500 km from home, at the age of five and was then separated from his family for 25 years. Adopted by a family in Tasmania, Australia, where he grew up, he finally tracked down his Indian birth mother after searching for years using only Google Earth and a childhood memory of his hometown. The film will be based on Saroo’s autobiography, which will be published by Penguin later this year. “As a filmmaker, Saroo’s life story is irresistible. The moment we heard it, we knew it had all the elements that make for great cinema. There is perhaps no greater human drive than the desire to find out who we are and to know our mothers. This, along with the incredible contrast between our high tech world and the streets of Calcutta, make for an unforgettable story,” said Emile Sherman and Iain Canning. Academy Award®-winning producers Emile Sherman and Iain Canning founded See-Saw Films in 2008. See-Saw is a UK and Australian company specialising in international Film and Television. Recent productions include the multi-Academy Award®-winning The King’s Speech, directed by Tom Hooper, and starring Colin Firth, Geoffrey Rush and Helena Bonham Carter. See-Saw followed up The King’s Speech with Steve McQueen’s award-winning Shame, starring Michael Fassbender and Carey Mulligan. See-Saw has just completed production on Jane Campion’s six-part television series Top of the Lake and is currently in production on Tracks, a film directed by John Curran and starring Mia Wasikowska. 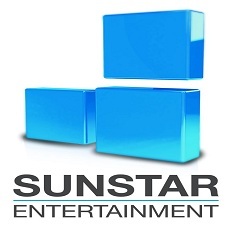 Sunstar Entertainment was formed in 2010 and is helmed by Andrew Fraser, Daniel Starling and Shahen Mekertichian, who also recently announced they would produce the highly anticipated film TRUE SPIRIT, the true story of Australian sailor Jessica Watson who in May 2010 became the youngest person ever to sail solo around the world, non-stop and unassisted. It is slated for release at the end of 2013. The film will be shot in Australia, with locations in Sydney and the Gold Coast. Paramount Pictures Australia has acquired domestic distribution rights. Sunstar Entertainment represents both Jessica Watson and Saroo Brierley.